David Mennie | Cook County Illinois Criminal Defense Lawyer The Davis Law Group, P.C. Contact Chicago DUI Defense Lawyer The Davis Law Group, P.C. 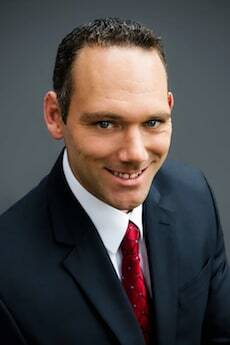 David Mennie is an Attorney at The Davis Law Group, P.C. Mr. Mennie graduated from the University of Iowa (B.A. with distinction) in 2006 with majors in Philosophy, Psychology and Religious Studies. Mr. Mennie graduated from University of Iowa College of Law (J.D. with high distinction) in 2012, where he was a member of the Order of the Coif, and the Transnational Law & Contemporary Problems law journal. Mr. Mennie has lectured and participated in panel discussions for the Illinois Institute for Continuing Legal Education on topics involving developments in Illinois DUI laws. Mr. Mennie began his career as an Assistant State’s Attorney at the Cook County State’s Attorney’s Office, where he practiced in the Criminal Prosecutions Bureau as well as the Civil Actions Bureau. Mr. Mennie has extensive experience in matters involving DUI, traffic offenses, felony and misdemeanor criminal offenses as well as civil matters involving family law. As a former prosecutor, Mr. Mennie maintains a unique insight into the criminal justice system. Mr. Mennie was born and raised in the Chicagoland area and his practice extends to courthouses throughout Cook County, Lake County, DuPage County, and Will County. If you seek effective and knowledgeable representation, we look forward to hearing from you. Explore our web site and contact us to learn more.